Few investments in the history of man have yielded 10,000% return in just under a year. But that is just a feat Ethereum managed and surpassed in 2017. 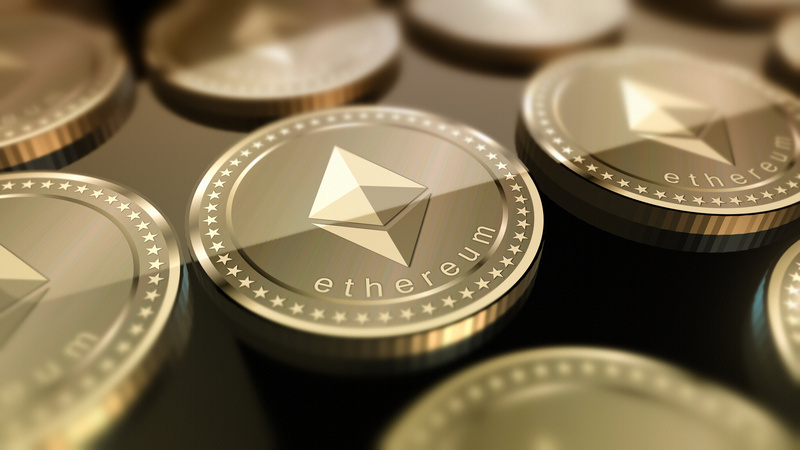 While this is not new in the cryptocurrency space, Ethereum’s rise is the most solid, buoyed by its superior technology, innovation, institutional backing and basic functionality. The ethereum network is better known for the smart contracts functionality, a much needed solution in the market. In fact the smart contracts concept could eventually wipe out third parties like banks. If you know how much this industry rakes in, then you will know Ethereum is up for something. A large part of the cryptocurrency market is speculative. There is no doubt that ethereum has also benefitted from this. But to occupy the second spot in market capitalization is no mean achievement. Ethereum just reclaimed this position after being briefly dethroned by Ripple which has since taken a retreat. It’s market capitalization now stands at an astronomical US $116,911,972,933 for a cryptocurrency that just came into being in 2016. Ether or ETH , as its digital currency is otherwise known is now selling for about $1,150 on Bitfinex, one of the largest exchanges. Most exchanges usually refer to it as Ethereum but more accurately, ethereum is the network that powers the digital currency among other things. Buying ETH is therefore as good as investing in the ethereum network. The network is so powerful it actually powers many cryptocurrency exchanges. The open source network is much more superior than bitcoin in terms of speed, efficiency and utility. Whereas it takes bitcoin about 20 minutes to process transactions, the ethereum networks needs just 12 seconds. Although there are much faster networks like Ripple, it brings it much closer to real world use. It is not just cryptocurrency exchanges that use the ethereum network. Dozens of applications are being developed daily based on this innovative network. It is written is a turing-complete code which means it can virtually run any algorithm. On top of the speed and security, this is what makes it more superior than bitcoin and more suitable for businesses. Heavy hitters like Microsoft have already taken notice and they are heavily investing in the digital asset. For a company like Microsoft which makes very considered strategic decisions to throw its weight behind ethereum, they must have seen real problem-solving potential in the network. If you want to know ethereum’s long term potential, look no further than the Enterprise Ethereum Alliance (EEA). The alliance incorporates companies like Microsoft, Thomson Reuters and JP Morgan and the aim is to advance the ethereum network and eventually incorporate it into their businesses. Many more companies in the list of Fortune 500 are scrambling for a piece of it. At the heart of the interest is the speed and efficiency it affords. They also want to be part of the action in the smart contracts revolution that will be unleashed soon. For them, it’s a question of adapting or being swept away by the new technology. Now, that is one solid reason why you should not miss out investing in ethereum in 2018. These are simply self executable codes that facilitate, verify and enforce contracts. You can view them as a replacement to the old contract law with its inherent defects and associated high costs. These will basically eliminate third parties in the making and execution of contracts. One advantage with smart contracts is that they are traceable and irreversible. The ethereum developers clearly saw this need in the blockchain technology and quickly stepped in. The Ethereum Virtual Machine (EVM) enables this functionality allowing for efficiency and speed. The EVM gives quick responses for every transaction, demand or payments and makes many other important decisions like making charges. Mainstream adoption of ethereum is already gathering pace not least from those it threatens most; banks. Bank of America is already working with it to help customers secure their transactions with help from Microsoft. This is possible through use of the blockchain packets which only allows information access to the parties in the transaction. This in itself addresses many privacy concerns that have long dogged the banking industry. Bank of America is already setting ethereum in the path of mass public adoption and an era of super-secure transactions. That no other person can access your financial information is in itself a revolution and the prospect will no doubt entice many more people. There is every indication that the technology is winning the trust of the public. The number of ethereum based apps are just exploding as we had seen earlier. In fact these were responsible for its meteoric rise in 2017. Entire companies based on the ethereum network are popping up each day. Thousands more raised huge amounts using the ERC-20 based ICOs last year. Much as they have used the ethereum network to create their coins, ETH still gains the most. In fact most of the ICOs are purchased through ETH. It is then possible to see why demand for ETH will continue to increase exponentially. These applications are expected increase tenfold over the next two years, a development that will see ethereum prices skyrocket. Developers are tweaking the technology to fit every imaginable situation. In fact it could be the future of the internet that so many people have been trying to take a peak at. Expect many things to be truly decentralised in the few coming years. Strong backing from big corporations like Microsoft just goes to show its potential; and an opportunity to make big returns if you invest in ethereum right now. Bitcoin on the other hand has not received any major institutional support with its otherwise long history. For all these factors, there is no reason why ethereum should not be one of your top investment priorities in 2018, at least in the crypto space. Much as ethereum’s speed is better than bitcoin’s, 12 seconds is still a long time to wait for a transaction to be processed. Clearly, there is need to upgrade the network to conform to real world needs. Well, there is something in this space with the planned Casper upgrade in 2018. This should enable the network process more transactions per second and match that of the Visa network. It is also expected to change from proof-of-work platform to proof-of-stake platform set to make things much faster and cheaper. If it finds a solution to the problem of speed and solve the scalability issues, it is possible to see ethereum closing the gap with the market leader in 2018. Ethereum and Bitcoin should be in everyone portfolio because they will go up exponentially (in 2-5 years) but I would also invest in other cryptos out there. Ethereum and Bitcoin were once very, very cheap and now they have grown considerably and the same thing will happen with other cryptocurrencies. So why not invest a few hundreds of dollars in 20+ of them and waiting it out? Much can happen in a few years and you could be looking at a huge ROI.